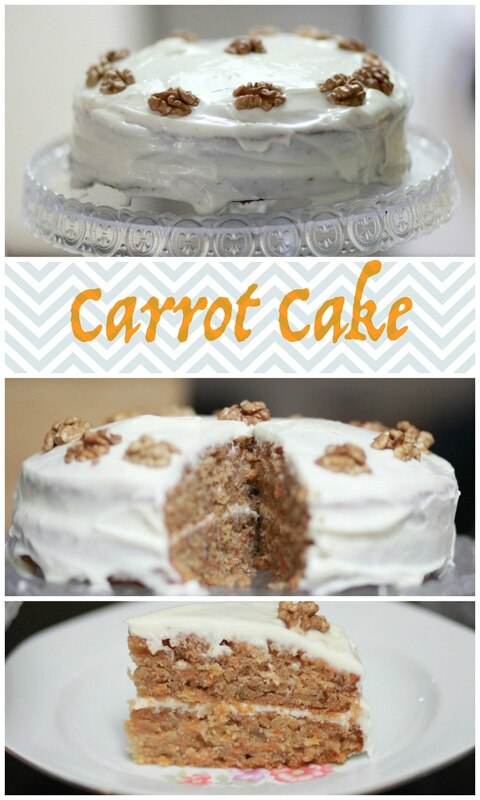 It is not the first time I am baking a carrot cake but it is definitely the first time I am really happy with the way it tastes and looks. This is by far my daughters favourite cake. Every time there is a celebration – birthday, Easter, Christmas etc. – my girls ask for this cake and I can’t blame them really. The flavour brought by the carrots combine with walnuts and the cream cheese cream is just sublime! I can say that this will be our family cake. 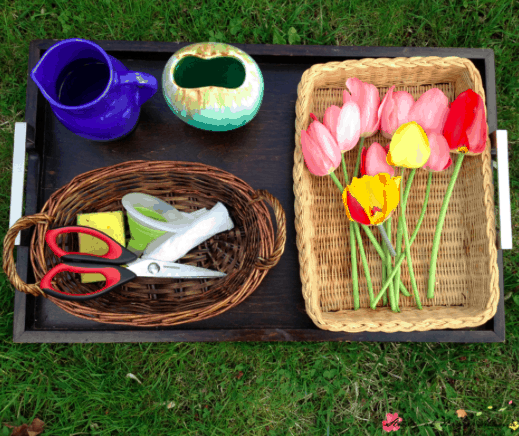 I made this for Easter so its quite a while since then – you will have to forgive me for not putting any more recipes here actually. First we will prepare the sponge mixture. Start by whisking the 175g of sugar, the eggs and oil together in a bowl. You an use an electric mixer but I done quite well without one. Then sift together the flour, bicarbonate of soda and the mixed spice on top of the eggs,oil and sugar mixture. Add the flour in batches and mix after each batch. Then fold in the orange zest, carrots,walnuts and sultanas.After that pour the mixture into the prepared tins and bake on the centre shelf of the oven for 35-40 minutes. The sponge needs to be well risen and to feel firm and springy to the touch when lightly pressed in the centre. 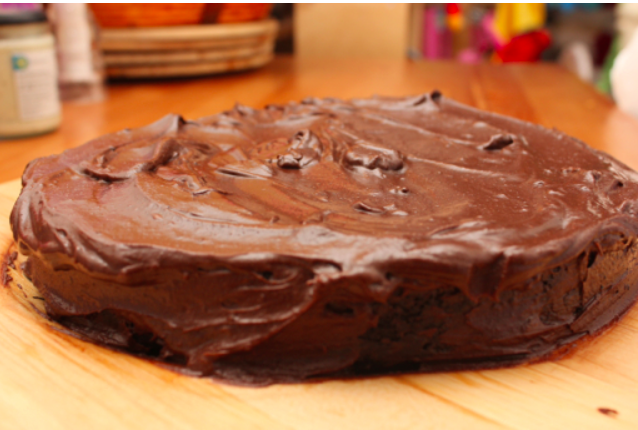 While the cake is cooking, make the topping by mixing all the ingredients in a bowl. Mix well until the composition is light and fluffy.Then cover with clingfilm and chill for 1-2 hours or until needed. 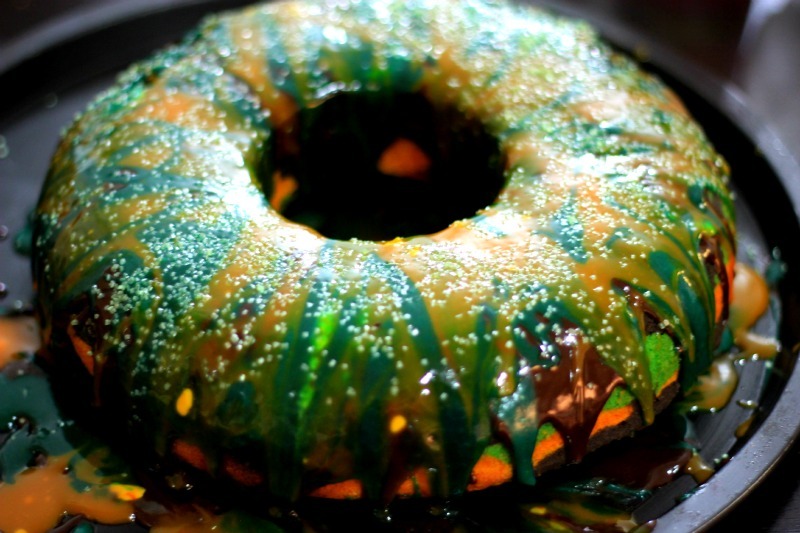 To make the syrup glaze, whisk together the fruit juices and sugar in a bowl. When the cake comes out of the oven, stab it all over with a skewer and quickly spoon the syrup over as evenly as possible. Leave the cake like that to cool. 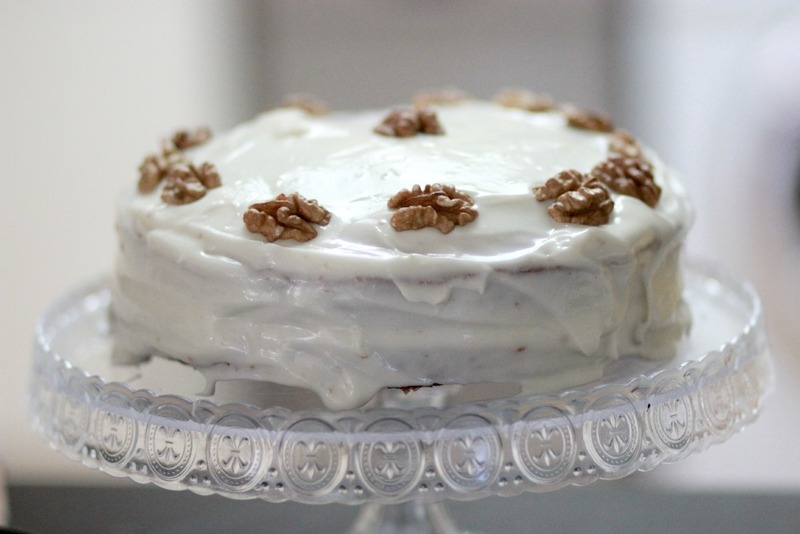 When the cake is completely cold, remove it from the tin,place it on your choice of platter, spread the topping between the two sponges and all over the top and add the walnuts as decoration. You could also dust with a little bit of cinnamon. Would love to hear if you made this cake and if you liked it. Also if you have other recipes to share with me do so in the comments. I will be glad to try them out. 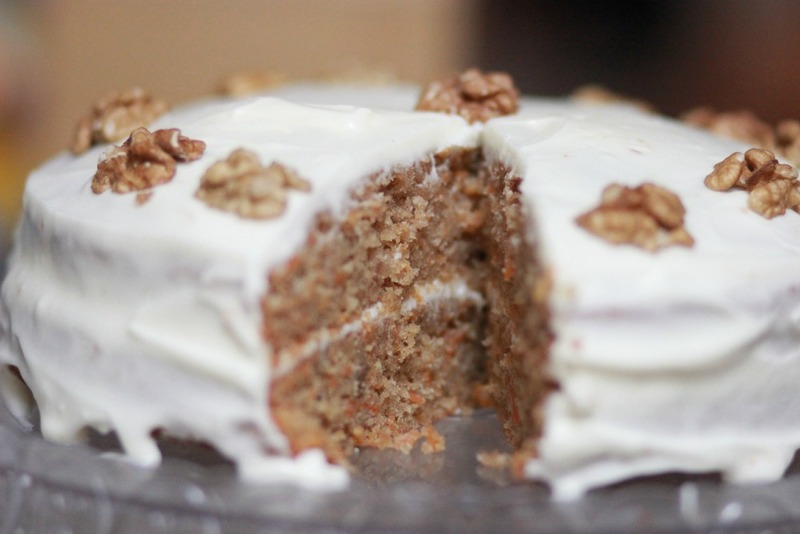 Carrot cake is my absolute favourite but I have never been brave enough to try it. You may just have inspired me! Oh this looks delicious. 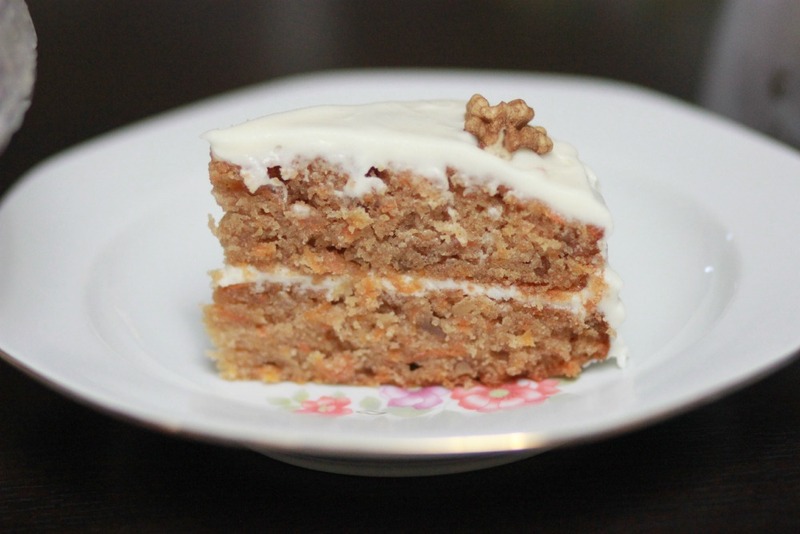 I made a great carrot cake a while back from a recipe I found online but I couldn’t find it again. The next one I made was disappointing but your recipe looks just right. 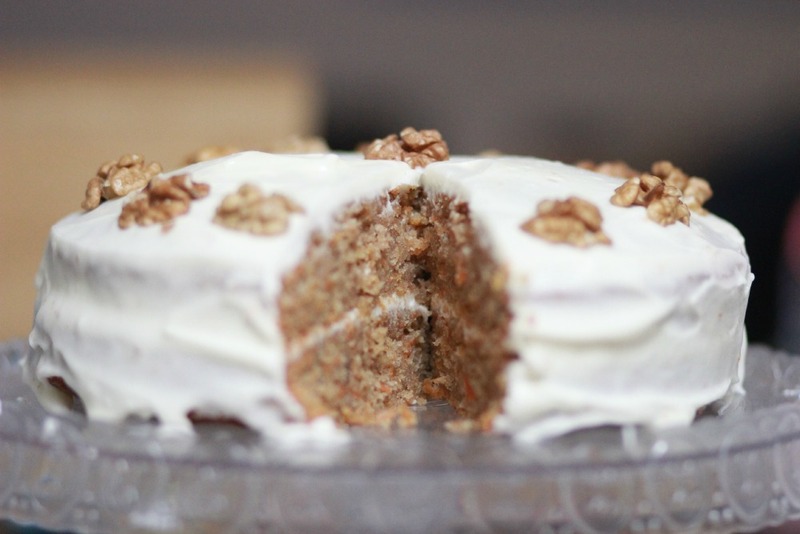 I need more cake in my life just now – and carrot cake is by far my favourite. I’ll definitely be making this, but without the walnuts (which is not my favourite). That looks yummy and has made me need cake!